Urban Rituelle Candle Warm Cinnamon & Cranberry * - I don't talk much about candles here but I am a complete candle fanatic I have so many around my home. I love a fragrant candle that leaves a beautiful scent in my home as it makes it feel clean and comfy. This Urban Rituelle candle is from their Christmas collection and can I just say OMG I am in love with this scent! this is the first time I have tried anything from UR and I am so impressed, this candle not only smells divine and reminds me of Christmas it lingers through my home and leaves it smelling so good! The luxe packaging of this candle is gorgeous and really looks nice sitting on my TV unit, it also matches into the Christmas theme. I really think if you are a candle lover you need to pick this candle up or it would make such a beautiful gift for someone. Rimmel London Match Perfection Foundation * - This foundation is reformulated from Rimmel's original Match Perfection foundation, I have not tried the original but I have been using this for the last two weeks and it has been beautiful on and holding up really well on my oily skin. It has a medium coverage and is very light on the skin and does just match in perfectly. I have been using it with the primer that also came out with this foundation at the same time and I have noticed that both work really well together and help keep my oily skin at bay for a while. This foundation also has an SPF of 20 so that helps with day wear and with me always forgetting to actually add sunscreen on some days. Overall it is a beautiful foundation for everyday wear. Hourglass Primer - I picked up this really hyped about foundation primer to give a go and see if it would really work on my super oily skin. I will mention I actually hoped it wouldn't be effective because of the price tag but I was sadly wrong and I fell in love with this primer. It really is worth the hype around it as it prolongs my foundation wear and keeps me less oily throughout the day.It is not a miracle product so I still get a bit of oil over my t zone during the day but I would have so say it is one of the best I have tried, plus it doesn't have that silicone feeling that I hate with a passion. L'STAJ Matte Liquid Lipstick * - I have never been a really matte lip kinda gal because I didn't like the drying formulas I had tried out but just recently I found a few brands that I actually love and am getting into the matte lip thing. If you love your matte liquid lipstick I highly suggest you check out this brand as these lipsticks are super creamy and comfortable to wear with great colour payoff and do not dry out your lips at all. Estee Lauder Lip gloss - If you follow me on Instagram you would have seen I picked up a gift pack when I purchased a perfume from the Estee Lauder range and I got two mini lip glosses in this pack. 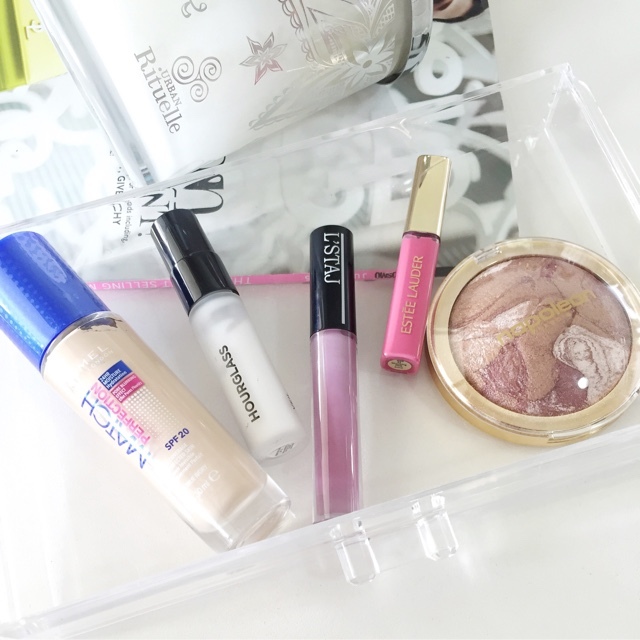 I have not tried EL glosses before and usually I am not a huge lip gloss wearer but these may just be my favourite lip glosses I have come across so far. The formula is so nice on the lips they are really creamy and not sticky at all. The colour pictured would have to be my favourite out the two I got this one is called Shocking Pink and is a lot lighter then it looks its more of a beautiful baby pink, perfect for everyday wear. Napoleon Perdis Blush Patrol - I picked up this blush after seeing Jerusha on YouTube talk about it and I could not be happier with a blush. It not only looks fabulous it actually is stunning on, it gives a beautiful rose glow to the cheeks and a really nice highlight all in one. It is super pigmented so a little goes a long way, one blush I will defiantly be repurchasing. What where your November favourites? Please leave me a comment below or a link so I can have a read of your post. I'm loving the Rimmel foundation as well! I have dry skin and it helps me be a little dewy! And I chose a shade which is too dark for me but some how, it matches to my skin as it sets in. It really works well with the primer hey! I'm very impressed! It will be in my favourites too! That's awesome and I am loving it with the primer. Its good to hear that it is working well with your dry skin and it stayed well on my oily skin I am guessing I had to add a bit more to mine to make it stay put though (Primer, Powder & Setting spray) haha but still a great foundation! I believe it is a new sort of brand that has come out as I haven't heard to much of it either, but defiantly worth a look at if you like matte liquid lipstick the formula is so good! That's a shame about the shade not matching I know I hate it cause it seems to be the main thing I look at when trying a new foundation I just cannot seem to look away from it not matching haha But it really is a great foundation! Oh I love candles and that one sounds amazing, I have never heard of that brand before I will have to have a look. The matte liquid lipsticks also sound great I hate the drying ones they just don't seem to sit right on my lips! I published my November favorites a while ago (it is the Favorite Face of... post I usually do). The blush looks really interesting, I love anything with a marble texture. My favorite candle at the moment is the Bath+ Body works "Fresh Balsam" one. I've used the original match perfection foundation and I can say it is really good, I will make sure to check out the new formulation. That blush looks gorgeous, it looks like it would give such nice glow and colour. I haven't tried the original but this new formula is spot on, the blush does give a great glow/highlight to the cheeks just stunning! I've been seeing those L'staj liquid lipsticks everywhere lately! The formula is beautiful and so creamy - worth a look at! 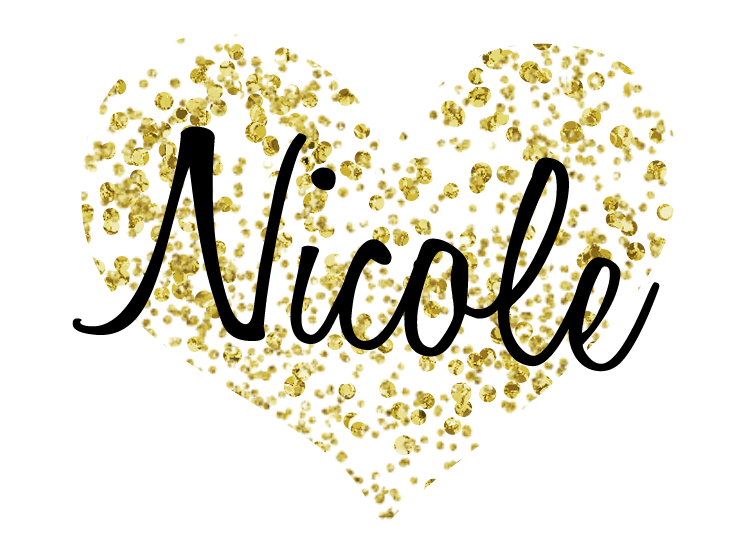 I'm loving your blog design, so pretty! That purpley shade in the liquid lipstick looks awesome! I'm loving the liquid lipsticks as well! SO SO SO easy to wear and comfy... I was surprised at how light they feel on the lips! That Napolean blush looks absolutely gorgeous!